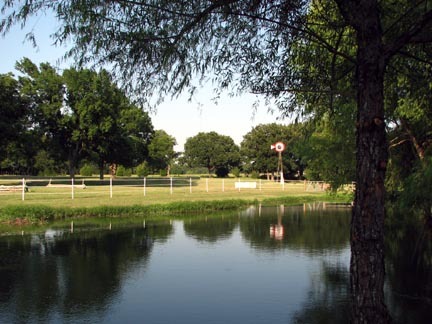 Cedar Creek Run is a 70 acre equestrian farm and event facility located near Greenville, Texas. We are just 45 minutes east of Dallas, Texas. Cedar Creek Run is a private residence and operates as a "not for profit" hobby activity. Fees charged are partial reimbursements of the actual cost or boarding or operating expenses . We have never made a profit. Cedar Creek Run provides a location for shows, clinics and seminars to the riding comunity. We host events sanctioned by the American Driving Society and the US Pony Club in addition to casual play days. 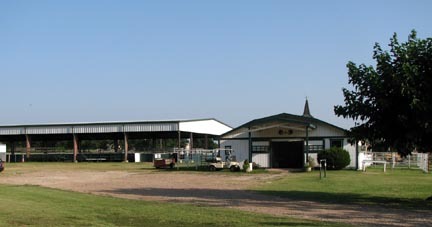 If you are looking for a place to hold your equestrian event or a new location for equestrian schooling, Cedar Creek Run can provide the ideal location. Ship-ins are welcome on a daily basis for individual schooling, carriage driving, or the casual trail ride. We also welcome independent trainers.